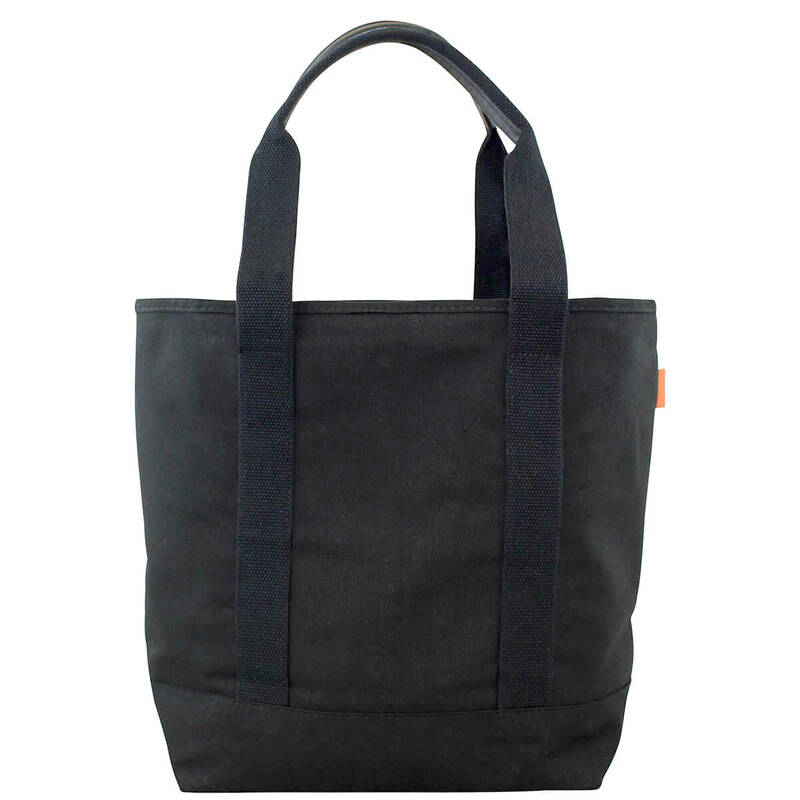 The Essential Tote is a roomy open top tote bag with a front pocket and leather accented handles for added comfort. 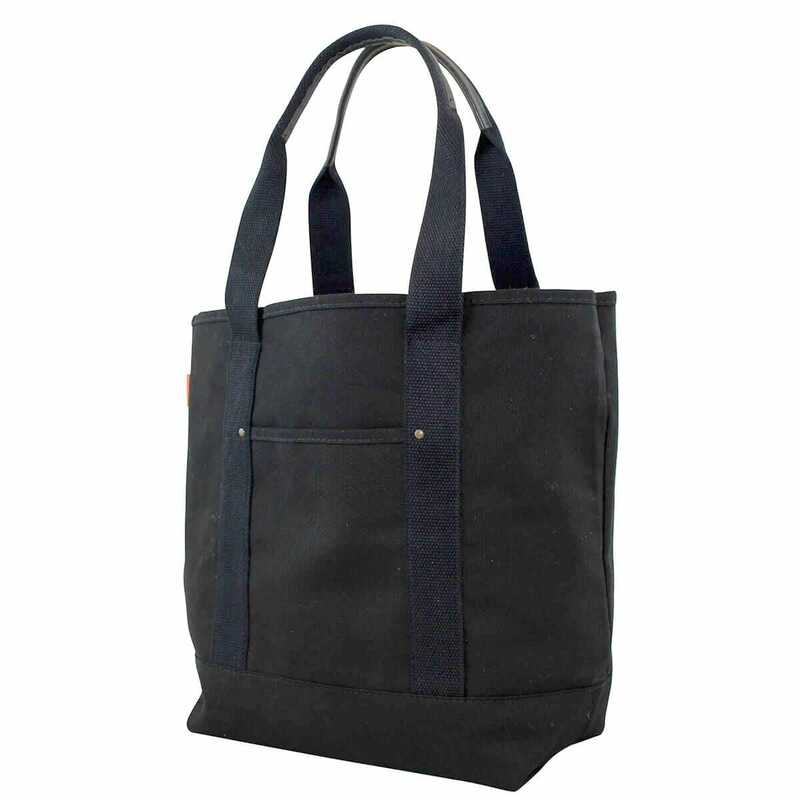 It's smartly crafted inner details include a very large hanging zip pocket equipped with a open phone and wallet pocket for added organization. 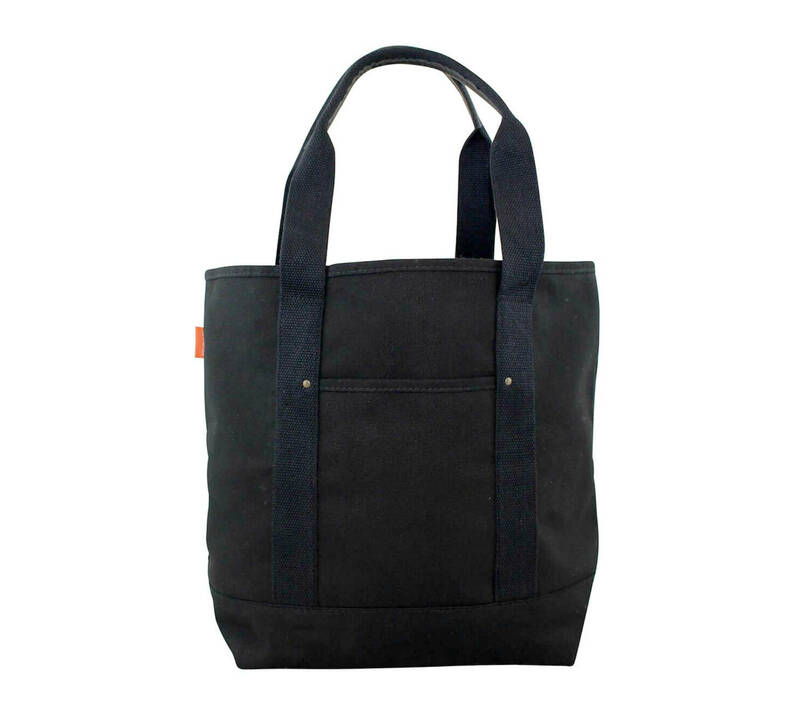 --2 cotton web handles with a 9.5 inch handle drop accessorized with a hit of Genuine Leather on both straps. 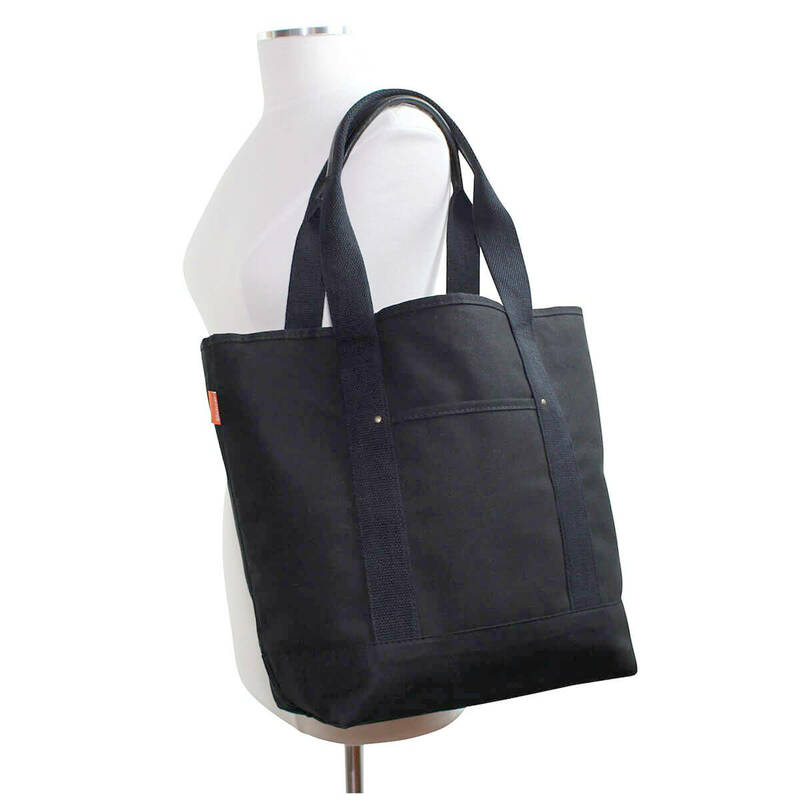 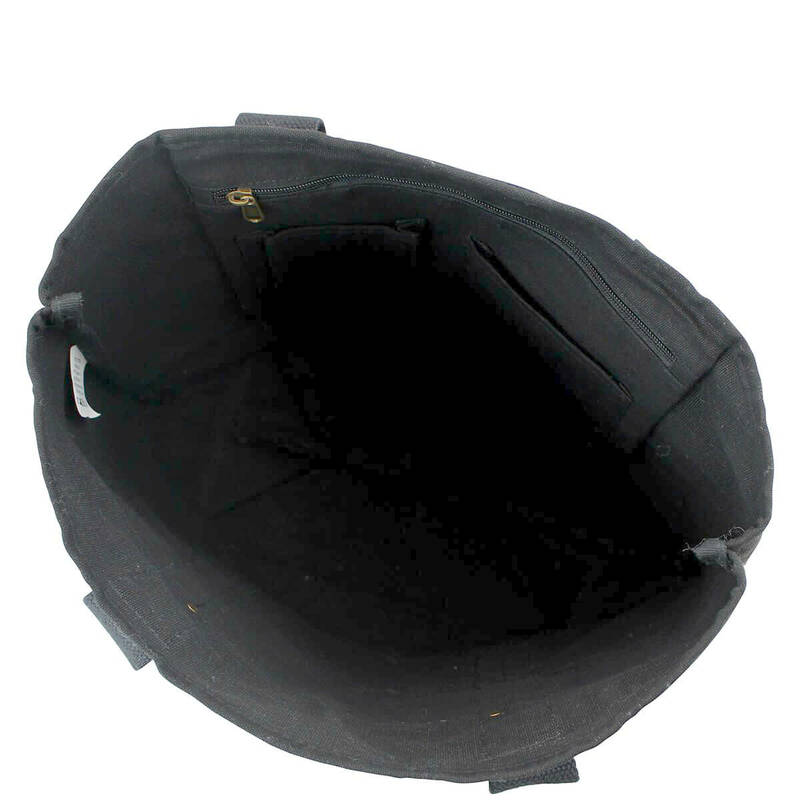 --1 outer pocket perfect for storing small items. 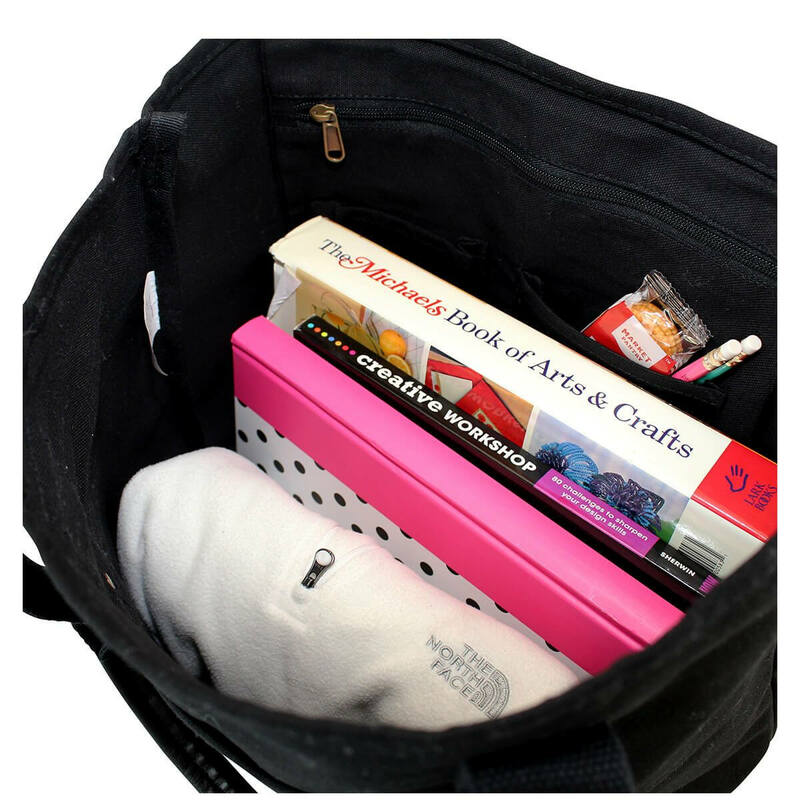 --1 detail inside organizer pocket pocket perfect for keeping things handy and at your fingertips.